Historic Saratoga is known for “Health, History and Horses” due to the famed mineral springs, the Battle of Saratoga and the Saratoga Race Course. Saratoga is so much more and a wonderful place to live! We host a thriving arts and culture community with Saratoga Performing Arts Center as a major attraction and summer home to the New York City Ballet and Philadelphia Orchestra. With Skidmore College located in the heart of the region, it’s no wonder, Princeton Review describes Saratoga Springs as the perfect college town. Don’t sell your home, rent it! We will do all the work for you, earning you recurring revenue. 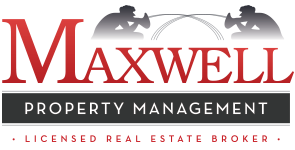 Based in Saratoga Springs, NY, we specialize in property management for apartments, condos and homes in Saratoga County and the nearby vicinity. We do consider exceptional properties outside of Saratoga County. Our primary focus is Saratoga Springs, Mechanicville, Stillwater, Corinth, Ballston Spa, Ballston Lake, Clifton Park, Galway, Greenfield, Halfmoon, Malta, Providence, Round Lake, Saratoga, Schuylerville, South Glens Falls, Waterford, and Wilton.